The Rev. Dr. Austin Blake Brinkerhoff, born in Huntington, West Virginia, is the son of a Presbyterian pastor and an elementary school teacher. When he was two years old, his family moved to Daytona Beach, FL. Austin graduated from Mainland High School in 1982, and he earned his Bachelor of Arts degree in Religious Studies from Eckerd College. He went on to earn his Master of Divinity and Doctor of Ministry degrees from the Louisville Presbyterian Theological Seminary. Austin has been a successful pastor for 26 years. Austin is the author of Healing a Hurting Church - A Manual for the First Year of Ministry. 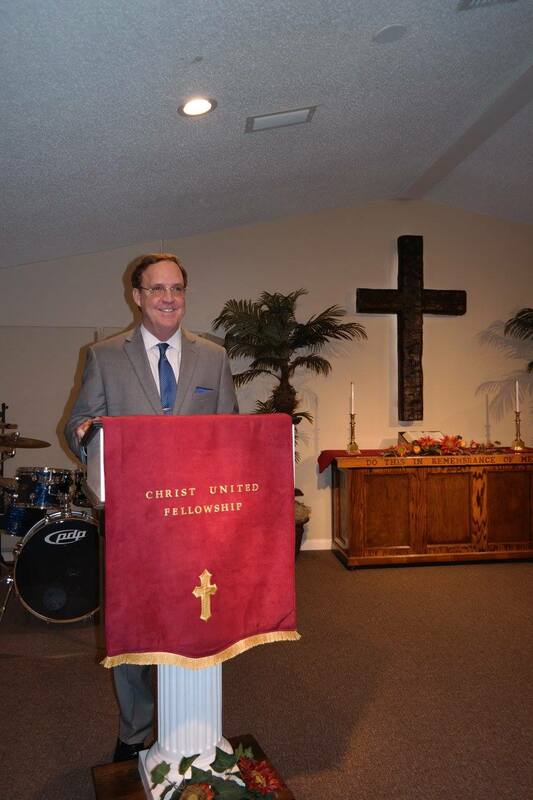 In addition to his position as pastor of Christ United Fellowship, Austin is a member of Rotary International, DeLand, and has served as a volunteer chaplain at Florida Hospital – Fish Memorial. He also served as a member of the Four Towns Ministerial Association and the board of Habitat for Humanity. Austin's pastoral ministry has been characterized by Christ-centered preaching, Biblically-based educational programming and teaching, compassionate pastoral care, a good sense of humor, and passionate love for Jesus and His Church. His hobbies include fishing and golfing.